Thanks to numerous international contacts of Wiewiorski Legal, in cooperation with our foreign partners we are able to provide legal service to our clients in all the most interesting business places in the world. Wiewiorski Legal is a founding member of the international alliance of independent law firms “Global Business Lawyers Alliance” (GBL). Marek Maciej Wiewórski, Attorney at Law, is a member of the Alliance’s Management Board. We have also established bilateral relationships with law firms from regions where GBL is not active in order to ensure that our clients have access to the broadest possible range of legal services abroad. 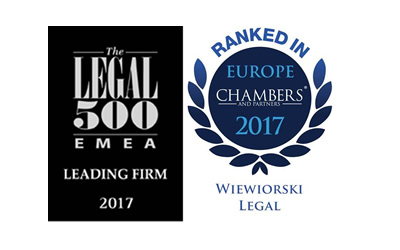 Wiewiorski Legal also expands its international network of contacts as a member of domestic and international chambers of trade and commerce, in particular British Polish Chamber of Commerce (www.bpcc.org.pl). We closely cooperate with sectoral organizations, such as ABSL, an entity whose supporting member we have been for a number of years.